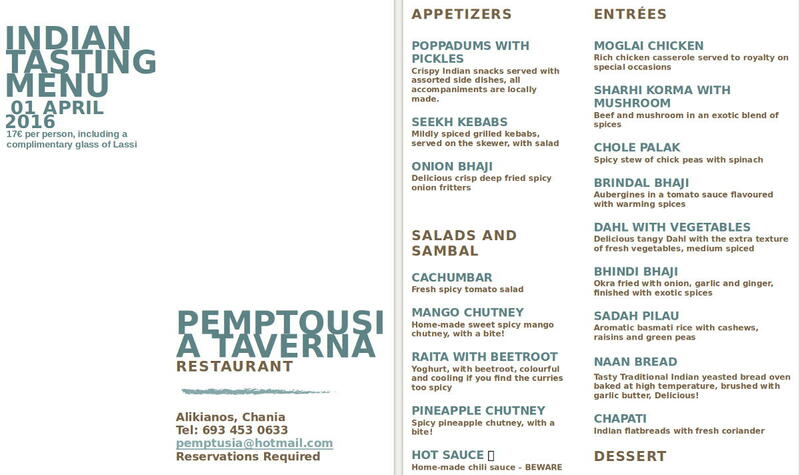 Curry night at Pemptousia Taverna, Alikianos, on Friday 1 April. All new recipes, last curry for this winter. We will start again later in the year.